The last few years’ explosion of interest in Japanese whisky – and the industry’s failure to respond satisfactorily – has been widely written about in both the specialized and the mainstream press. Before reviewing two of the casualties, I’m providing a recent history of unfortunate events. Three years ago, Nikka very publicly discontinued age statement bottlings from its Miyagikyo and Yoichi distilleries. Suntory followed suit shortly thereafter, albeit more quietly, in replacing Hibiki 12 years old with the no age statement Hibiki Japanese Harmony (see Mark’s take on it here). In all of the above cases, secondary market prices immediately shot up as a mad scramble for dwindling supplies of the old bottlings ensued. Then, another body-blow to Japanese whisky lovers came in the middle of this year as Suntory abruptly announced the discontinuation of the 17 year old Hibiki, as well as the core 12 year old expression of Hakushu. Predictably, bottles again flew off of shelves as hoarding ensued. They’re now appearing at auction, at a significant premium to the prior retail price. In both cases, the root cause was the same. A sudden unexpected increase in demand depleted stocks. This surge in popularity started locally, as the success of the television drama Massan (focused on Nikka founder Masataka Taketsuru and his Scottish bride) made the spirit unexpectedly fashionable. A new generation, heretofore studiously indifferent to whisky, started pounding haiboru elbow-to-elbow with the chain-smoking salaryman, echoing the resurgence of brown spirits (and mid-century modern furniture) here in ‘Murica following the runaway success of Mad Men. Then, a prominent behatted whisky critic named Yamazaki Sherry Cask 2013 the “World Whisky of The Year.” Setting aside that this designation is just one man’s highly subjective opinion (and – to anyone who drinks whisky with regularity – a patent absurdity), he may as well have called it the “Universal Whisky of Eternity,” such was the frenzied response from all corners of the globe. Again, bottles disappeared and prices shot up as rumors swirled; I’ve heard tell that this precious nectar will make your kids smarter, your lawn greener, cure the common cold, and give you ultimate power. Why bother chasing six stones around the galaxy when you can pay only four figures(!) at auction for a bottle of NAS sherried whisky? I just wish I had a bottle, so I could snap my fingers and make things go back to the way they were 6 years ago. In a country that hasn’t had meaningful economic growth for near on three decades, this tidal wave (no offense to the indomitably brave citizens of Tohoku) of demand caught the Japanese producers completely wrong-footed. Investment in production capacity at Yamazaki was too little, too late. With vague promises of “long-term growth” to “meet the market demand,” several old favorites marched to the gallows. Nikka, for its part, seems to have a more-or-less cogent commercial strategy. Almost seamlessly, NAS versions of Miyagikyo and Yoichi were available at retail here in the US, though they aren’t appealing enough to disincentivize hoarding of the old age statement releases. The consistently pleasant Taketsuru Pure Malt is also widely available, and has become my go-to recommendation for Japanese whisky novices. They’ve also recently started to export the cult favorite Nikka From the Barrel, which caught a favorable review from Jason. Suntory’s approach to all this has left me scratching my head. In Japan, your average 7-11 or FamilyMart now stocks 200 ml bottles of NAS Yamazaki and Hakushu. Our friends in Europe got the NAS Yamazaki and Hakushu Distillers Reserve, with the former reviewed here by Mark. Initially released at £42, Adam recently reported seeing bottles offered for significantly more, another dispiriting sign of the times. So far, so disappointing. Stateside, things got weird. Suntory released redesigned boxes for Yamazaki 12 and Hakushu 12 this year, before promptly scuttling the latter. The former still appears in dribs and drabs, with a few bottles sporadically popping up and then evanescing into the mist. You’ll join me in agreeing that it’s queer of Suntory to launch a product packaging redesign right before killing off a product? I’d welcome any input from the Beam Suntory team about the thought process behind this quizzical decision, as well as their plans going forward. The one cherry on this shite sundae is that rising demand (really: rising prices) has incentivized existing distillers outside the big two to increase production, as well as attracting new players to the game. That said, it’s been a mixed blessing. For every Akashi or Chichibu, there’s a Fukano trying to sell shochu as “rice whisky” or a Kurayoshi taking advantage of lax regulations to bottle imported Scotch as “Japanese whisky.” Generally, consumers need to be more informed and discerning or else risk getting ripped off. If I were to try to design a strategy to kill broad interest in Japanese whisky, I don’t know that I could have come up with a more effective one: decreasing-quality products sold at more demanding prices, with an influx of poorly-regulated pretenders. Japan, better than many countries, knows the acute pains of booms and busts. I’m no clairvoyant, but the current direction of travel is deeply concerning. That leaves us here in late 2018 surveying the blasted landscape. I think neither producers nor consumers are happy with the way things have turned out. I could envisage an ideal situation where production ramps up, stocks mature, and the old age statement bottlings return in a few years’ time. If I’m being really Pollyannaish, maybe they’ll be offered at the generally reasonable pre-shortage retail prices? Excuse me while I don’t hold my breath. To commemorate this annus horribilus of Japanese whisky, I have cracked open a pair of miniature bottles of the recently deceased Hibiki 17 and Hakushu 12 for a memorial tasting. With malice toward none, with charity for all, join me in casting a wistful eye backward. Whether – in the words of the old standard – “we’ll meet again, some sunny day” remains to be seen. 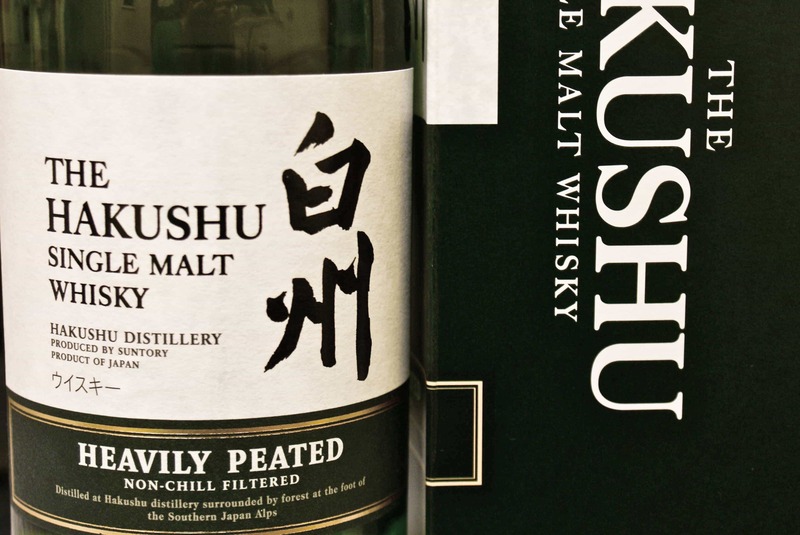 The Hakushu is a single malt aged 12 years, bottled at 43%. 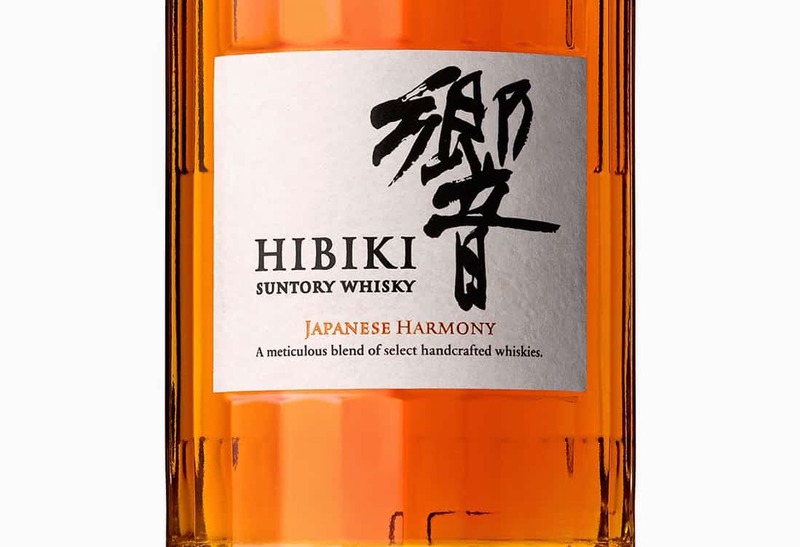 The Hibiki is a blend of malt from Yamazaki and Hakushu, as well as grain from Chita. Aged 17 years, also bottled at 43%. I’m not going to mention prices, as the previous MSRPs are as about relevant as when my old man natters on about how “a Coke cost a nickel” when he was a boy. On the nose: Freshly cut tobacco, mint leaf. A mix of high-toned fruity flavors, showing peppery grapefruit, wild berries, and crisp starfruit. There’s the richly sweet aroma of butterscotch as well. In the mouth: Smoky to start, with a buttery, creamy richness at midpalate that immediately turns into a drily ashy note. This finishes with the intense flavor of iodine and a fulsome tart burst of Meyer lemon. This is an excellent example of how Hakushu is able to hit both high and low notes on the register. Most reviews of this whisky focus on the smokiness, and the similarity to Islay malts. However, there’s so much more here, and the whisky is constantly dancing between the two ends of the tonal spectrum. In this case, the only thing missing is the normal woodland notes – a sappy, resinous pine, typically – that usually nod at Hakushu’s forest location. This dram has been docked a point as a consequence. On the nose: Huge, dense, round and rich nose. Stewed pear, apple pie, acetone, paprika, cinnamon, lemongrass. There’s also the distinct Mizunara influence of jasmine, five spice, and sandalwood incense, which to me is one of the main attractions of Japanese whisky. In the mouth: The palate starts lightly woody, becoming intensely floral at midpalate, with the concentrated flavor of rose petals. This finishes with more spicy Mizunara notes, broadening out into a roasty chocolate-mocha flavor, with some nutty accents of unsalted cashews. There’s a very slight astringency through the finish as the only off note. A weighty nose yet an airy palate, both full of aromas and flavors. Occasionally the Hibiki blends will lean more Yamazaki (nutty notes) or Hakushu (aforementioned smoky and foresty notes), but this one is straight down the middle. Of the four Hibiki age statement bottlings (12, 17, 21 and 30 years old), this 17 most successfully highlights the unique flavor profile of Mizunara oak. Delicious. As you can tell, I’m sad to see both of these go. They are distinct compared to each other, and to world whiskies more broadly. Most importantly, they evince the uniqueness of Japanese whisky generally, and of the specific distilleries therein. Great examples of what all the fuss was about, before hype and FOMO went into overdrive. With hope for a new dawn of whisky in the Land of the Rising Sun, I’ll not say sayonara… I’ll say au revoir. For context do read our scoring guide. Wake me up when the rerun of very recent history of Japanese whisky and ridiculously high ratings are over. Next article please or better yet punch me in the eyes so that I can’t read again. Noneya, I appreciate the feedback. I acknowledge that any potted history of Japanese whisky risks becoming another redundant re-hashing of ground that has been well covered before (as I note in the second and third paragraphs). 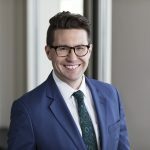 However, I think that it’s helpful in contextualizing the commercial decisions of the major producers, and the logic (or lack thereof) motivating them going forward, which is my principle area of concern. Anyone interested in a more in-depth account of Japanese whisky should read Stefan van Eycken’s seminal “Whisky Rising.” It recounts, in emotionally painful detail, the hardships the industry endured through several previous booms and busts. Lost fortunes, financial ruination, the extinction of multigenerational family businesses, all the rest. Scotland’s own whisky history has relevant analogues, as well. A lot of what is going on in Japan right now seems predicated on the assumption that the current frenzied enthusiasm for whisky will go on interminably. History demonstrates that it likely won’t. I fear some of the industry is currently writing its own death warrant by pushing sub-standard product at premium prices. As for the strength of the ratings: I respect and abide by MALT’s comparatively stringent scoring bands, and I try to calibrate my scores according. That said, I legitimately love both these particular expressions, hence my sadness at seeing them discontinued. I wouldn’t rate all Japanese whisky so highly (even the coveted age-statement bottlings; Yamazaki 12 is about a 6/10 for me; Hibiki 21 also a 6/10), but I truly believe these are both special drams. I stand by my scores which, as with all scores on this site, are simply one person’s opinion. As with all articles on MALT, a healthy level of respectful debate is not only tolerated, but welcomed and embraced by me. If anyone has substantive misgivings about anything I have written, here or elsewhere, I hope they’ll engage me about them. I dish criticism out, and I’d be remiss to not take it in return. What have you got against Edward Gibbon’s ‘Decine and Fall’? Good eye, Ed! I have nothing against it, save that its presence serves as a constant rebuke to me, as I have been struggling to finish the first volume for the better part of two decades. The other five volumes are currently propping open various doors and windows around my flat. Appropriately, watching the locust-like hordes of foreign tourists cleaning out the Narita Duty Free shop often reminded me of the Visigoths under Alaric. Here’s hoping the current Japanese whisky empire comes to a better end. After you recommended them nice to get a review therewith. Cheers, Carl! Hope you were able to find a bottle you enjoyed. Great review, excellent recap of the recent series of unfortunate events in the Japanese Whisky market. A great primer on what’s out there and what to keep an eye out for. Thanks for the kind words, DRR. I realize that aspects of this may be repetitive to some people who follow the space more closely, but glad there’s some utility for a more general audience! Personally, I think it’s just better to wait 10 years than buy the overrated NAS ones or the pseudo-Japanese ones ( made in UK or US, but bottled in Japan). I figured if the shortages started in 2015, should be about 2027 till the new aged versions come through, and hopefully laws of supply-demand will force the price lower. PB, that’s the hope! I have heard tell that Ichiro Akuto of Chichibu will have a 10 year old for us in 2020, just in time for the Tokyo Olympics. Also, during my tour of the Yamazaki distillery, the guide offhandedly said during her presentation that they expect supply and demand to “normalize” in 5 years, which I presume reflects the benefit of the additional stills they added in 2013 (the tour was in 2016, so target date 2021). Not sure if this means they are moving to an 8 Year Old or 10 Year Old expression, or whether there will be sufficient matured stocks to maintain widespread availability of a 12 Year Old Yamazaki expression. Despite my repeatedly pinging them on Twitter, neither Beam Suntory nor Suntory Global has responded to my queries about their plans. Thanks for the comment, and GO BLUE! I work for a Japanese company and everytime I visit they have that hakushu for their highball mixing whisky. To them it’s not even interesting enough for drinking neat. Now it is also about 1/4 the price you find it for outside the country.